There are brands. And then there are brands that have done a little something extra to make them super cool, and highly purchasable. And becoming 'super cool' isn't so easy to do on your own, but partnering with another brand that already has that aura of cool is a pretty safe workaround that if leveraged right, leads to success. And that is what happens when brands create licensed lines around pop culture. When Johnson & Johnson markets their regular bandaids tied to a licensed line of favorite kid animated films, band-aids will be worn even when there is no boo boo. Just because the bandaid is now cool. For decades fast food franchises have leveraged these types of partnerships, creating kid friendly meals with customized toys emblazoned with the latest feature film animated release. All sales drivers. And the latest licensing partnerships we are seeing are moving more into the adult space - with alcohol brands looking at content that they can wrap themselves around, by launching product lines that are a brought-to-life embodiment of what millions of adults can relate to, and that they think will be cool and fun to share with friends. 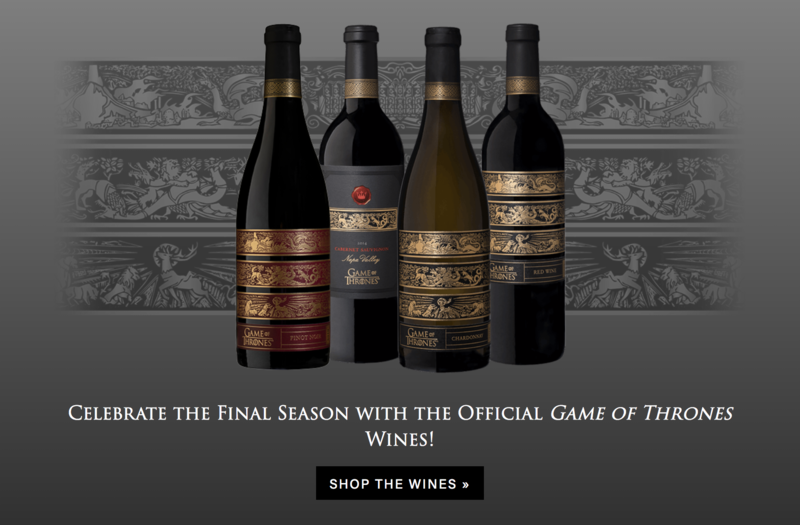 Galloping behind the success of the behemoth HBO series Game Of Thrones, Vintage Wine Estates and HBO Licensing and Retail teamed up to provide their fan base with an immersive experience. There may not be another show on TV that could make wine look more appetizing than a glass of Welch’s grape juice. At this point, most of the characters are in fact half grape (spoiler), so it makes sense for the two companies to work on bringing this magical substance to life. Unveiling four main wines referencing the prominent Houses of the show’s protagonists, the brand has appealed to connoisseurs and casual wine drinkers alike. They anointed fourth generation farmer and renowned wine maker, Bob Cabral, to use both California based and Oregon based vineyards as the forging grounds for the wines. Again, this is a wonderful marriage. Cabral has crafted more than 100 wines scoring 95 points or higher on a 100 point scale. He is a true nobleman of his craft, choosing to create wines with multiple layers of complexity and flavor. 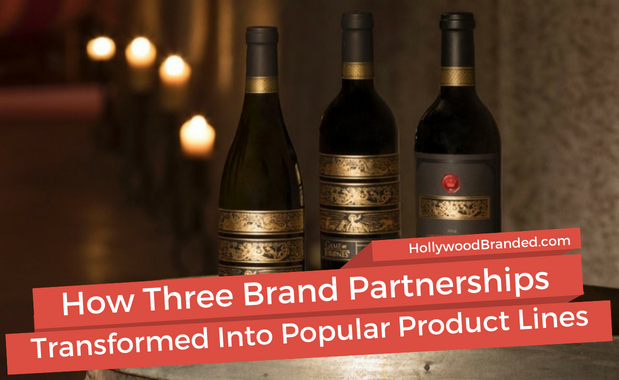 And by creating the Game of Thrones lines, fans of the show will be introduced to the specially licensed brand line, and very likely after enjoying a glass, be open to expanding their purchase to other brand lines in the same family. The next contestant in the war of epic product lines come courtesy of American Gods with B. Nectar Meadery in Ferndale. Inspired by the fantasy drama TV show “American Gods” (itself inspired by Neil Gaiman’s novel of the same name) the new line of meads, ciders, and beers will be heavily branded after the Starz cable network show. Woah, now that’s a victorious claim. But, the show does play directly from an agreement that takes place between the two main character Mr. Wednesday and Shadow moon. In this scene, exactly three shots of mead is used to seal their ominous pact. After creating this scene, the show producers decided that this deal sealer needed to be shared by their audience as well. They soon found B. Nektar, who had already secured raging success from their sci-fi/fantasy based product lines in the past. The most famous of these being their 2011 “Zombie Killer” mead. B. Nektar specializes in highly fantastical branding and marketing, producing yet another holy matrimony…of co-branded partnership. 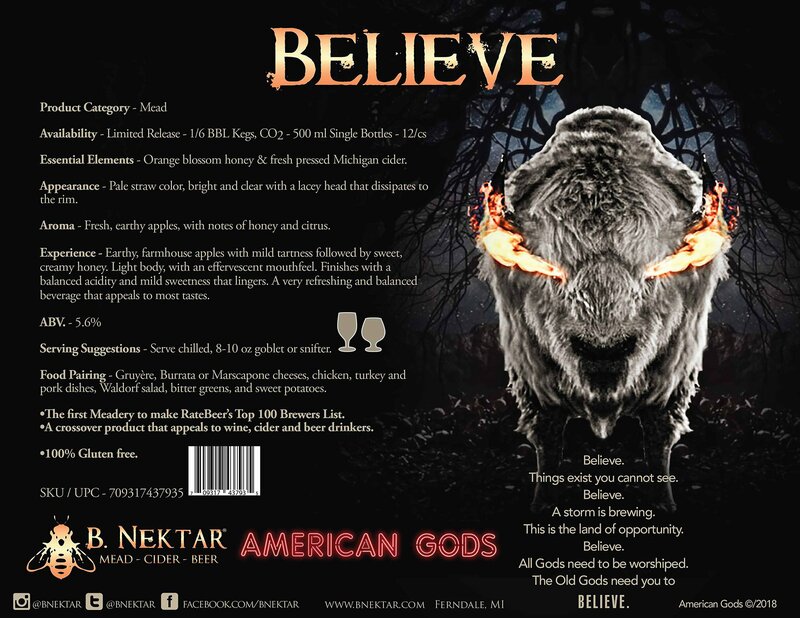 The line will be called “Believe” - a limited edition mead that will be distributed through B. Nektar’s network of 25 states and locations in Europe and Asia. When the Kingsman: The Golden Circle debuted it’s trailer during the 2017 San Diego Comic-Con, it revealed both new footage and a compelling cross promotion. Director Mathew Vaughn utilized the location of the film’s American based agency, the Statesman, to bring to life a product of the same name. 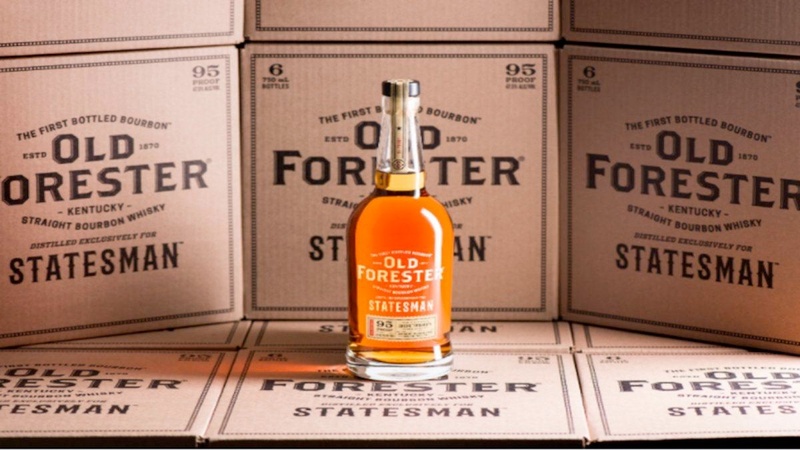 With the agency doubling as a distillery, it made sense for real-life whiskey experts, Old Forester to collaborate with the film from pre-production to post. The veteran distillery boasts a whiskey that offers the bold flavorings of Kentucky Straight Bourbon patiently blended from the warmest warehouse locations. “...because true character is only revealed after a little heat,” according to Old Forrester. The company was also the most authentic choice that Mathew Vaughn could have made. According to Old Forrester distiller Michael Braun, the film’s doomsday protocol is actually a bottle of whiskey from 1919. This year is significant to both the plot of the film and also Old Forester’s own history. “In 1919, there was only one brand of bourbon that this could’ve been, which is Old Forester. ‘Cause Old Forester is the only bourbon that was produced before, during, and after the Prohibition,” Michael Braun (Paste 2017). If making an original blend of whiskey wasn’t enough, Old Forester even created character inspired cocktail recipes including the “Kingsman Tea Sling” and the “Statesman Tea Sling.” They must have inspired some friendly competition, because GlenDronach Distillery also announced their own version with 20th Century Fox, Marv Films, and Aberdeenshire distillery. A huge reason to why we trust Musk’s ventures are because global consumers are familiar with him. It’s not difficult to imagine the mindset of the modern day consumer. It’s far better to buy solar panels from the same company responsible for planet colonization and robot cars due to their success in those fields. It just makes sense. And that's the same reason why the brand partnerships listed above work. You are taking a brand that is a solid, good brand, and partnering it with a content brand that is also a solid, good brand. And it allows both to cross over to a new audience, and to create an expanded universe of sales potential. This is not to say that you can slack in quality once diversification takes place. That will not get you very far in this fickle and ever changing landscape now dominated by Millennial consumers. It’s important to still bring your absolute A-game when presenting new product lines. Loyalty must always be earned. Just as the three aforementioned brands have proven, basing a product line within a beloved and well known world may yield exciting results. 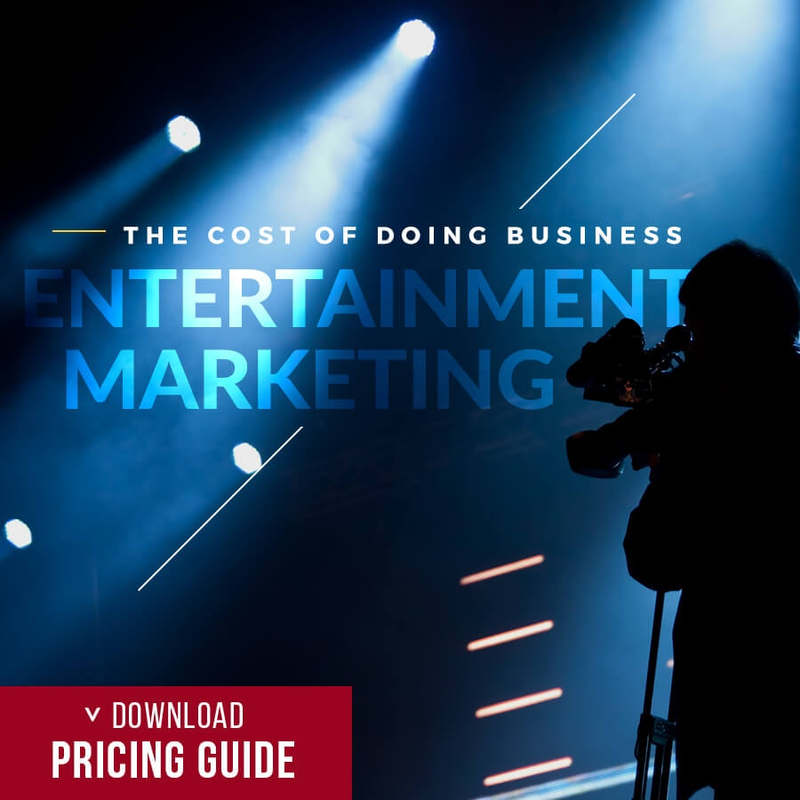 But, whether you are a budding brand or an established name, product placement and co-branded partnerships can be a daunting sphere of business if you don't know what you are doing. And that's why our agency is here to help! 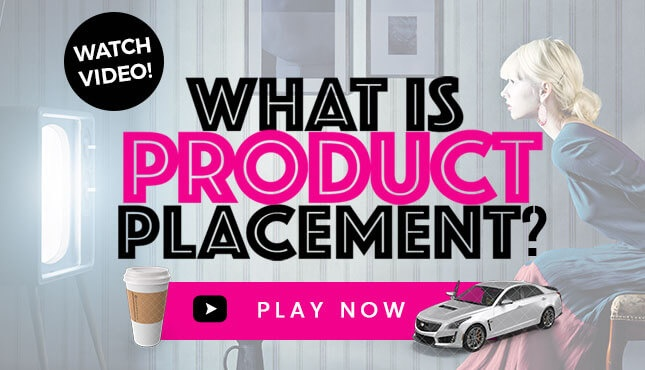 If you have interest in learning even more about product placement, check out some of our blogs our team has written regarding various types of product placements in movies, advertisements, music videos, and what not! With Films and TV comes actors, actresses, and other culturally relevant personas. 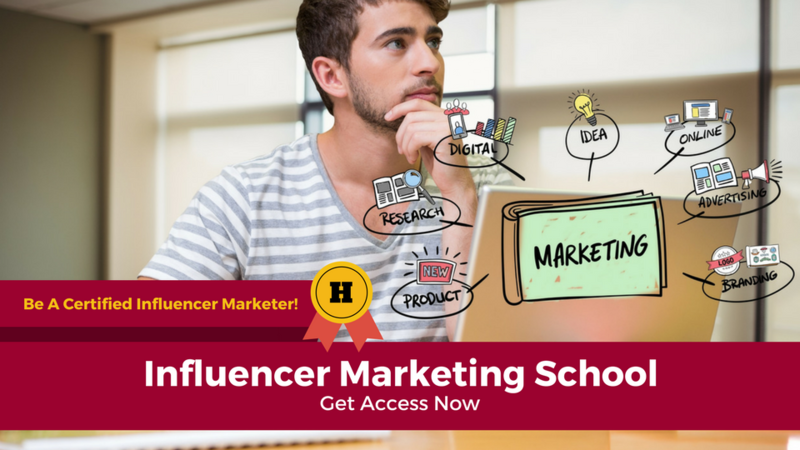 If you want to team up with these influencers, we have perfect resources that are jam packed with influencer marketing academia. 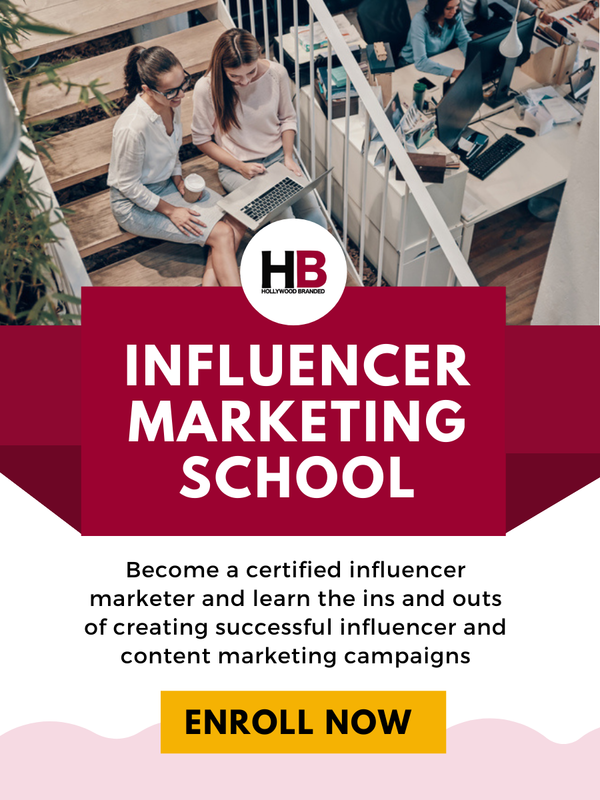 Check out one of the courses we offer that will help you learn how to use celebrities and social influencers in your advertising, or their social platforms!